As the title of the post clearly suggests, this is probably the most important directory we do have on the board. 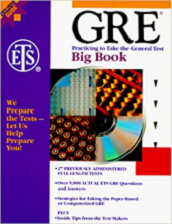 It gathers ALL the Official Guides released by © ETS since the inception of the GRE exam throughout 2019. All the questions are explained by our math and verbal experts. If some question in its explanation misses or you do need further assistance or a more depth insight, a closer look, just send me a private message or just make a reply to the discussion. You will receive a reply in 24 hours. 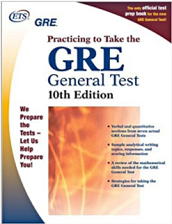 I care to remind you also we do have what is the other key piece in your preparation for the GRE exam for 2019: GRE - PowerPrep® The FREE Practice Tests Explained 2019. Remember that you do have also the easy yet powerful searching question by tags, thanks to which you might find all the questions posted on the board for easy and consistent practice, both quant and verbal Forum Search. 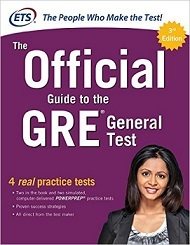 Official Guide to the GRE Revised General Test 3rd Ed. - Same as 2nd Ed. 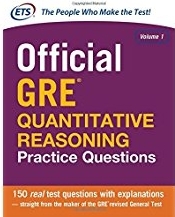 ETS Official GRE Quantitative Reasoning Practice Questions, Second Edition, Volume 1 - Same as 1st Ed. 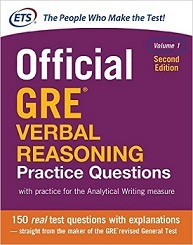 ETS Official GRE Verbal Reasoning Practice Questions, Second Edition, Volume 1 - Same as 1st Ed. 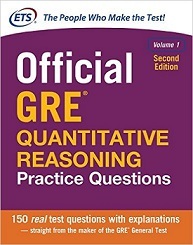 Official GRE Quantitative Reasoning Practice Questions 1st Ed. 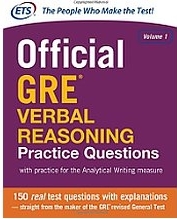 Official GRE Verbal Reasoning Practice Questions 1st Ed. 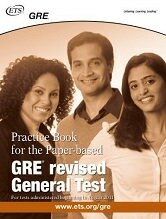 GRE Revised General Test - 2nd Ed. 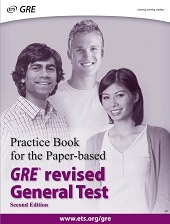 GRE Revised General Test - 1st Ed. 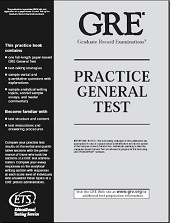 GRE: Practicing to Take the General Test 10th Ed. Last edited by Carcass on 05 Mar 2019, 12:36, edited 26 times in total. I have the all of the 2017 versions. In utilizing these guides, how should I go about studying? There is some redundancy. I want to study most efficiently without repeating the sections that I studied - if possible. Thx. No. Unfortunately. The 3rd edition is equal to the 2nd one. And the new quantitative and verbal reasoning as well the 1st edition. The only thing you could do is practice with good quality questions such as MGRE or our test. Link in my signature. Then use the official material and the official prep software. Under this light, I blame ETS because has no sense going out with a new OG and adding no new questions. Is 3rd edition equal or equivalent to 2nd ed.? 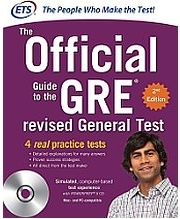 So, the GRE 2nd edition would suffice to prepare for my test. Right?